The secondary education board of Madhya Pradesh has launched a program called Ruk Jana Nahi which will cater to the students who failed the class 12 and 10 board exam. Once the results were declared it was seen that many students had passed with good and average marks, but then still there were some students who did not manage passing the board exam. For this reason the Madhya Pradesh Board decided to launch Ruk Jana Nai program. The main reason to launch the program was to avoid students’ from losing hope or to waste one year of their career. Under this program the board will allow the students to re-appear the board exams. Failing exams can be terrible for the student especially the class 10 and 12 board exams. This may actually cause loss in the year of the student’s career. To avoid this and to encourage the students the board has decided for a re-examination for the failed students. The result for the class 12 Madhya Pradesh board exams were declared on May 12 and it was seen that there was increase in the pass percentage. But at the same time it was noticed there that in the Behind district of the state showed an increase in the fail percentage. If a student fails the board exam, one may get discouraged and quit their studies, this is a common practice in the small towns and villages. The program is also aimed at avoiding this problem and encouraging students to continue their studies. What is the program all about? Under this program all the students who did not manage passing the class 10 and 12 MP board exam will be given a re-examination opportunity. Mainly to save their one year from going waste. Will there be any special coaching given? The students who will be appearing for under the Sanskrit Board will be given special coaching from June 1st to 8th. Maharishi Patanjali Sansthan has decided to help the Board in conducting these classes. How to apply for the re-exams? The forms for the exam would be made available online and students can fill and submit it. The program is exclusive for the students who have failed their board exams this year 2016. Also the students who have given exam under the Madhya Pradesh State Board will be eligible for appearing for the re-examination that will be held in June. The student who has failed the exam in the previous year will not be able to appear for the exams which have been scheduled under this program. Under this program the exams for the class 10 and 12 students who did not pass the board exam is dated for on June 15th. The students who will be re-appearing for the exams under this program will have to appear for the subjects in which they failed. They do not have to appear for all the subjects. The students who want to appear for the re-exams, will have to download and fill a form online which is available in the website of the Madhya Pradesh Board. The forms for the exam will be made available from May 20 and the exam will be held from June 15th. For the admit card of the exam, one may download it from the Board’s official website from 07 June to 30 June 2016. The Board has announced that the results of the class 12 re-exam will be declared on the 15th of July. And the results for the students who appear for the re-examination of the 10 board exam will be declared on August 15th. The program will be of great benefit to the students who have not passed the board exam. Losing a year can be bad and harmful for the student’s career. With the launch of this program they will be given a chance to pass the exam in this year itself. There will be free coaching classes launched for the students so that they can pass the exam with good marks this time. This will make sure that all the students pass this time. After visiting the link the students are required to click on the application form and then fill in their centre code, class and medium. A date will be scheduled and the students will be informed regarding it and the exam will be held on that particular date. A fresh and updated marksheet will be issued to the students by the Open Board and will be sent to them. 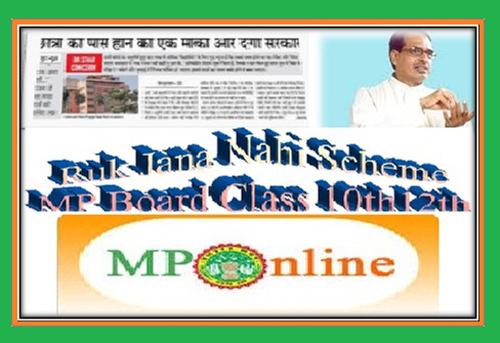 The student applying for this scheme is required to be a present student of class 10th or 12th board. He/she is also required to be failing in the exams in order to reappear for the same. Minimum of 1 paper and maximum of 6 papers can be repeated b the student. A time period of approx. 1 month will be taken to declare the result of repeat exams.